Mixologists are moving brandy from the snifter to the cocktail glass. Brandy provides a fresh take on an Old Fashioned at Bryant's Cocktail Lounge in Milwaukee, Wisconsin. Brandy often evokes images of an older, cigar-smoking gentleman sipping from a glass after an expensive meal. But brandy has a long, rich history of being enjoyed in classic cocktails. 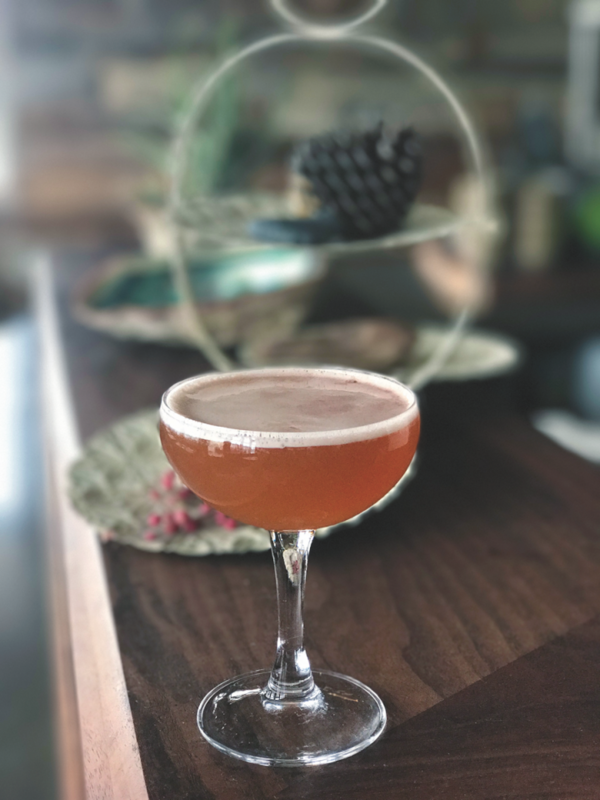 Unearthing and recreating those traditional drinks has been a driving force behind the current mixology culture, and that has both restored brandy’s place in the cocktail scene and garnered it a younger fan base. Cyllan Hicks, head bartender at Midnights in Brooklyn, New York, is happy to see brandy being embraced as a cocktail base once again. “Now that brandy isn’t only being consumed neat from a snifter, more bartenders such as myself are willing to be adventurous and add brandy and Cognac cocktails to our menus,” Hicks says. 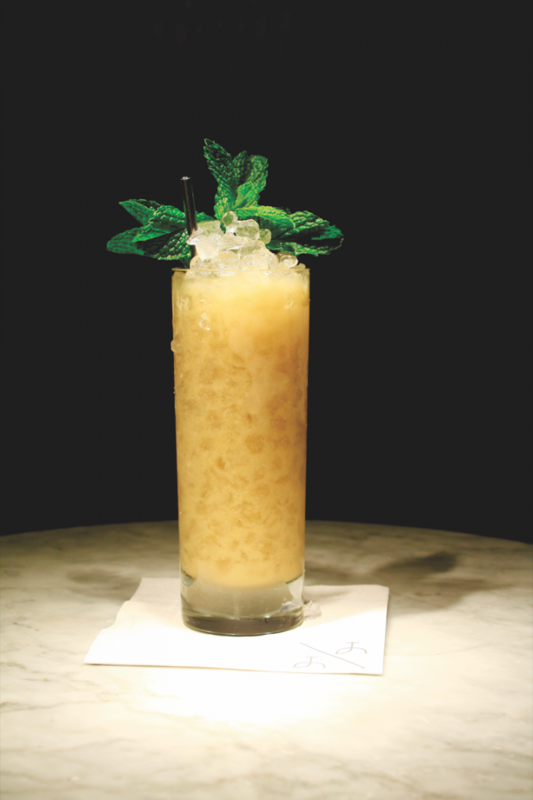 The Up & Up's Jungle Ration is a unique, brandy-based take on the Mai Tai. Though brandy has just as rich a history in pre-Prohibition American cocktail culture as whiskey, most consumers today know far more about Bourbon and rye than they do Cognac. “In the 19th century during the Golden Age of classic cocktails, brandy—Cognac specifically—was mainly employed as a mixer rather than sipped. Approximately a third of the recipes found in vintage books from that time use Cognac as a base spirit,” Schimek points out. Indeed, brandy-based classics are finally back in the spotlight. 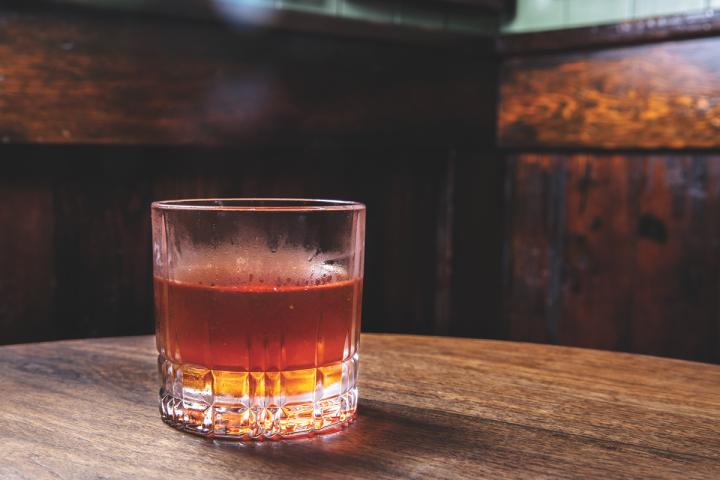 “The Brandy Cocktail, Brandy Smash, Brandy Crusta, Brandy Daisy and the brandy-based Sazerac are just a few of the 19th-century drinks that have proven to be a great entry point for bartenders and consumers to rediscover the rich potential of brandy,” says Christy Pope, who owns the Dallas bar Midnight Rambler with her husband Chad Solomon. Nelson Fitch, owner of Chicago bar Income Tax, notes that any classic whisk(e)y-based cocktail can be adjusted to work well with brandy. 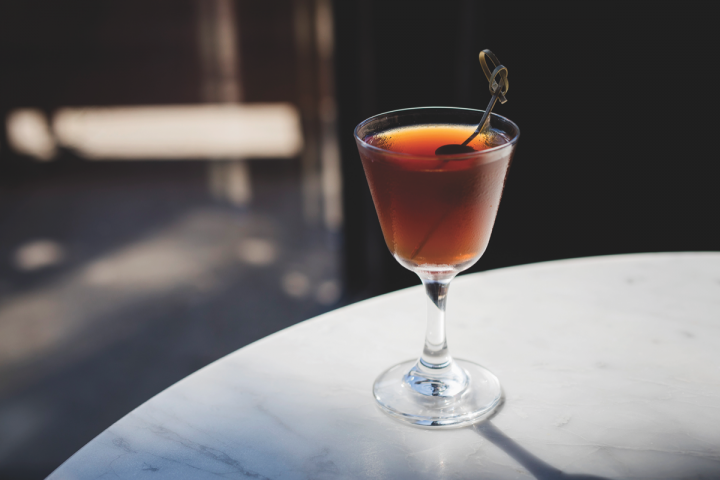 “We serve an Armagnac Manhattan as a gateway cocktail into brandy—it works because it’s such a familiar, trusted profile,” he says. The drink ($12), created by bartender Patrick Grasso, mixes Delord Napoleon Bas Armagnac, Braulio amaro, Bénédictine herbal liqueur, Miró red vermouth and Angostura bitters. The bar also offers Grasso’s Normandy Old Fashioned ($12), made with Claque-Pepin Fine Calvados, Braulio and house-made lemon verbena syrup. “Calvados is extremely versatile—open the Savoy Cocktail Book and you’ll find no shortage of Calvados classics with a variety of flavor profiles,” Fitch adds. Though Old Fashioneds are most commonly made with Bourbon or rye whiskey, Brown-Forman’s Laird says that the company’s Korbel brandy is the preferred base in the Midwest and West—the so-called “brandy belt.” The Old Fashioned ($8) at Bryant’s Cocktail Lounge in Milwaukee, Wisconsin, features Korbel, simple syrup and Angostura bitters, and can be served “sweet” (with a splash of Sprite lemon-lime soda), “sour” (with Squirt citrus soda), “press” (with both Sprite and seltzer) or with just a splash of seltzer. Porchlight's Three Rings incorporates Laird's apple brandy, giving it a bright note of fruit character. Blending multiple spirits, fruit flavors and aromatic elements, tiki drinks serve as an excellent vehicle for brandy. The Jungle Ration ($15) at New York City bar The Up & Up is bartender George Stern’s twist on the Mai Tai, featuring Christian Brothers Sacred Bond American brandy, Atlantico Reserva rum, Lustau Amontillado Sherry, house-made pistachio-based orgeat syrup, simple syrup and lemon juice. At San Francisco bar Outerlands, mixologist Kevin Dowell’s Air Dance cocktail ($12) is a Sherry Cobbler variation, mixing Cognac Park VS, Bodegas Yuste Aurora Amontillado Sherry, Luxardo Maraschino liqueur, J.M. Sirop de Canne syrup, lemon juice and Angostura bitters. At Porchlight in New York City, head bartender Nick Bennett is also a big fan of Laird’s apple brandy, specifically the 100-proof expression. “It’s absolutely delicious and has such a storied past that intertwines with the history of America, which makes any cocktail featuring it an entire conversation,” he says. “Flavor-wise it plays well with baking spices and citrus and can be used to highlight other spirits in so many cocktails.” The bar’s Three Rings Cocktail ($15), created by bartender Bryan Teoh, blends Wild Turkey 101 Bourbon, Laird’s 100-proof Straight Apple brandy, Cruzan Black Strap rum, house-made dried cherry syrup, Delouis Cidre de Normandie and house-made “Black Hand” black cardamom bitters. “By its very nature, brandy pairs well with fruity flavors, as well as aromatic spirits,” Midnight Rambler’s Pope says. Indeed, blending brandies with other spirits in cocktails is very common, as it’s bold and aromatic enough to stand up to most other ingredients. 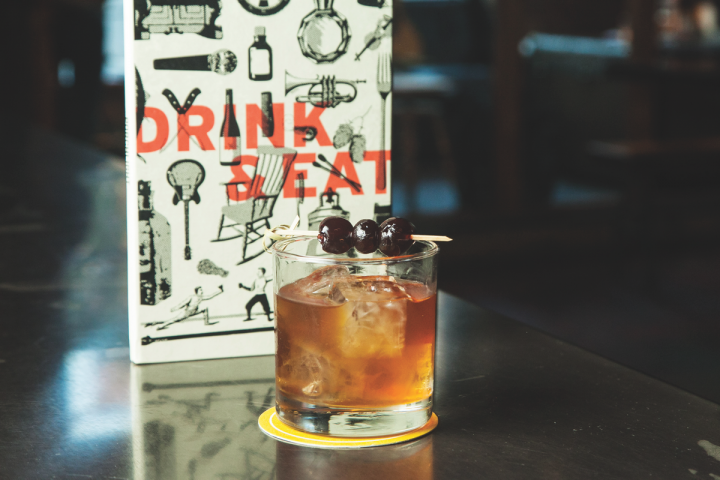 “With brandy being such a broad category, the types of cocktails and flavor pairings are endless,” says Jillian Vose, bar manager at The Dead Rabbit in New York City. 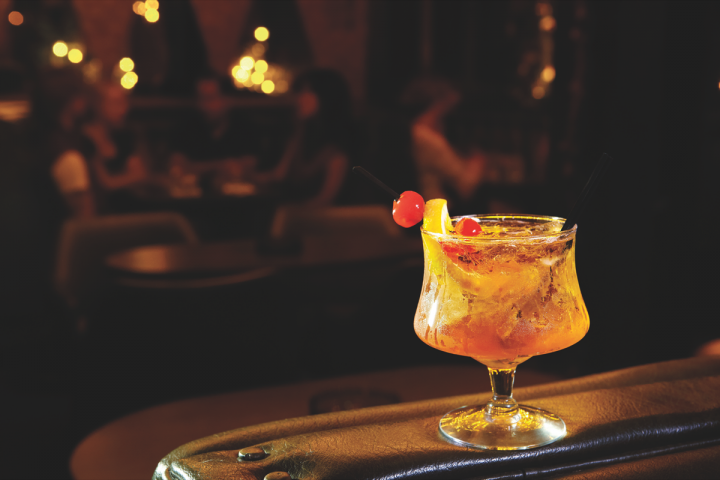 “We’ve done everything from toddies and sours to Sazaracs, Manhattans, Martinis and tiki drinks using all types of brandies. Splitting bases with cachaça, American whiskies, aquavit, aged rum, Scotch and gin have all been common in our menus.” Her Beauty Parlor cocktail ($16) blends Torres 15-year-old Spanish brandy, Rémy Martin 1738 Accord Royal Cognac, Giffard Crème de Cacao liqueur, Dead Rabbit Jamaican rum blend (a mixture of Cruzan Black Strap, Smith & Cross, and Banks 7 rums), cane simple syrup, Bitter Truth Old Time Aromatic and Peychaud’s bitters, and a spritz of Vieux Pontarlier absinthe for aromatics. Combine Cognac, Sherry, liqueur, lemon juice, syrup and bitters in an ice-filled cocktail shaker. Shake and double strain into a couple glass. Express the lemon peel over the drink and discard. Use an atomizer to spritz the inside and outside rim of a well-chilled rocks glass with absinthe. Combine brandy, Cognac, liqueur, rum blend, simple syrup, bitters and lemon twists in a mixing glass with ice. Stir well until the drink is chilled and properly diluted. Strain into the rocks glass. ¹Equal parts Cruzan Black Strap, Smith & Cross, and Banks 7 rums.